Published on April 17, 2018 at 8:51 am . 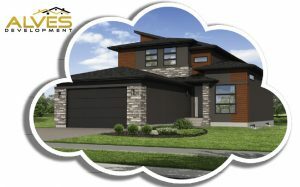 EDMONTON, AB, April 17, 2018 — Help the Boys & Girls Clubs Big Brothers Big Sisters provide kids with a solid foundation — buy your tickets and have a chance to win the $10,000 Early Bird, and you’ll also be eligible to win the Grand Prize — your choice between TWO gorgeous Million Dollar Dream Homes, plus $150,000 cash! And the Win50 jackpot is now over $790,000, and could grow to $1 million. Winner takes half! 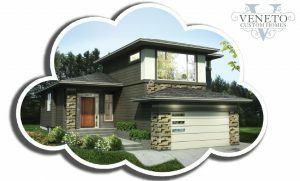 The Dream Home Lottery has the most affordable tickets to win a luxury home in Alberta. At less than 60% sold, it means great odds to win! Tickets start at just $25 for the Dream Home and just $5 for the Win50, so don’t miss your chance to win AND support this great organization. Visit the Dream Home Lottery’s website to order tickets, or order by phone by calling 1-877-483-8832. Exquisite and well appointed, this 2113 square foot bungalow with a loft invites you in with an open concept gourmet kitchen and a bright and beautiful sun room. With a main floor master suite, the loft can be used as a fourth bedroom or office. The fully furnished basement features a theatre room and two bedrooms, each with their own bath! Your friends and family alike will enjoy the comfort and convenience in this dream home. You’ll love all the natural light in this stunning 2310 square foot storey and half. The upper level features a private master retreat with a dream closet; the elegant and spacious ensuite includes a steam shower for two and freestanding tub. Entertaining will be a breeze in the gourmet kitchen – a coffee bar in the oversized walk-in pantry will free your sparkling quartz countertops from appliance overload. With a fully furnished basement highlighted by an open concept theatre room, bar, bath and two bedrooms, this home has space and comfort for the whole family (or a bunch of lucky friends!). At Boys & Girls Clubs Big Brothers Big Sisters, we provide free after school programming through 15 neighbourhood Clubs. These programs provide critical out of school time support spanning from homework help to hot meals. We also offer mentoring programs that change lives. When a child or young person (ages 6 to 24) experiences one on one attention, guidance and support from a caring adult, they are more likely to graduate from high school, experience higher self-esteem and are less likely to be involved in bullying, drugs or alcohol abuse. The kids who take part in our programs go to your church or a school in your neighborhood. They are kids with potential who just need a little extra support and families of all kinds that can’t do it all by themselves.